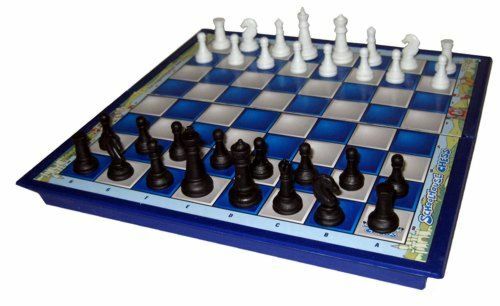 Chess has been proven to help with logic, memory, analysis, reading, and mathematics, and has even been shown to improve IQ. However, we understand the importance of making learning fun! We teach chess with fun characters and stories that are woven into a logical, step-by-step curriculum that begins with the basic rules and extends through intermediate strategies and tactics. 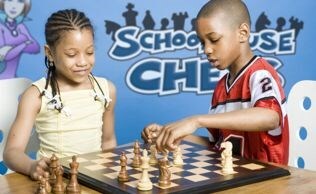 In our Schoolhouse Chess program we make the world’s most popular game a blast! We bring the game pieces to life with vivid personalities and creative histories. Our imaginative characters accelerate the learning process and fascinate children. Students will improve their problem solving and critical thinking skills as well as their logic skills, memory and pattern recognition. Time will be allotted each week to challenge their fellow players and practice newly acquired skills. 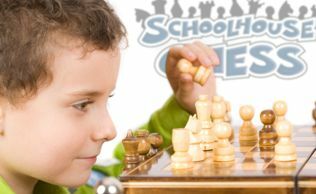 Schoolhouse Chess caters to beginner and intermediate skill levels and covers all basic rules, strategies and tactics. Each student will receive their very own magnetic chess set to take home.